Leaders are learners. It’s an axiom as old as leadership itself. I used to say leaders are readers. But that’s never been entirely true. Because you don’t need to be an avid reader to be a constant learner. What does your church do well? And how long does it take a first-time guest to experience it? Your response to those questions is a huge factor in how well your church attracts and keeps new people. Do all healthy things grow? If a church is healthy, will it grow? Will that growth always result in larger congregational attendance? I know it seems logical. I have no idea what the right way to do church is. And I'm growing increasingly skeptical of anyone who says they know. 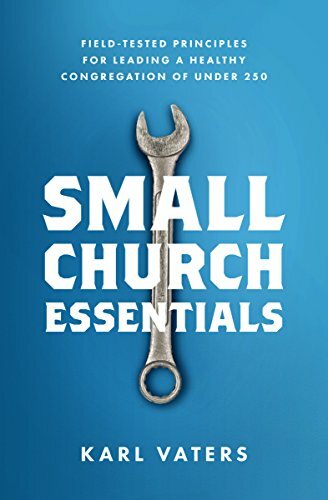 Small churches have unique characteristics, quirks and blessings that can only be learned by having ministry experience in them. Church internships are great. For the church and for the intern. If they’re done right (yes, that’s a big “if”), they can confirm or define a call to ministry, provide real-life experience, enhance classroom learning, and bless a local church. I like big- and megachurches. I wish there were more of them. I like small churches even more. I wish there were a lot more of them. If you’re pastoring a church that has or is turning around, here's some great news - and possibly your greatest challenge. Your struggling church can turn around this year. Because turnarounds can happen in an instant. If you’re in a church that needs a turnaround, that’s the good news. Now here’s some hard news. Good, but hard. A simple practice every pastor can do on Monday that can help last weekend's message have the impact you want. It’s what every pastor wants from our Sunday sermons (or talks, messages, homilies – take your pick). We want to have impact. We want the message to stick. We want the words we speak to help people follow Jesus more closely. If you pastor a small church Jesus knows what you're going through, because he felt it, too. Jesus was a small church pastor. Every time I say that, people rush to remind me that massive crowds followed Jesus. Which, of course, is true. Especially as followers of Jesus.